All orders shipped within the CONTINENTAL UNITED STATES are shipped Priority Mail with no added shipping or handling charges! Digital products may be downloaded from your My Account page immediately upon payment processing. Tangible products are shipped within 48 hours, Monday through Friday, with the exception of U.S. holidays. We ship most orders via U.S. Postal Service Priority Mail. Very large orders may be shipped via UPS Ground, at our discretion. Expedited shipping (2nd day air, overnight, overseas) and will call are not available options. All packages receive a tracking ID # provided by the carrier. When your order is packaged, this tracking number will be added as a note to your account. We do not allow orders for products that are out of stock. 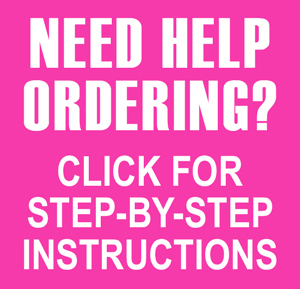 We want you to be thrilled with the products you purchase from Doll Stuff by Jana. We take great care to ensure your order is packed and shipped correctly. However, sometimes mistakes happen. Please give us a chance to make it right. You may not return downloaded digital products. All digital product downloads are final. If you have not downloaded the digital product, we will refund your payment. It may take up to a week to process the refund. Once downloaded, digital products may not be returned for a refund. If the file is corrupted or does not work correctly, please contact us and we will send a replacement file. If you are dissatisfied with your digital product for reasons other than defect, we will offer an “exchange” product of equal or lesser value. We reserve the right to refuse exchange products for customers who abuse this privilege. Please inspect your order immediately upon receipt. If you were sent the wrong item, or product is defective or damaged during shipping, you MUST notify us within 7 days. NO EXCEPTIONS. Items must be returned to us within 21 days of the day you received your package. Return items must be in their original unused, undamaged condition. Merchandise that has been damaged or altered by you can not be accepted for refund or exchange. All returns must be pre-approved by us. When you contact us, we will tell you how to return the product in the simplest way possible. We will also tell you if you can expect a full refund or a merchandise credit. Refunds are made after we receive the returned product and verify its condition. Payment refunds are made through PayPal and will either be returned to your PayPal account or credited to your charge card. It may take up to 30 days after our receipt of the return for the credit to be returned to you. Merchandise credits are e-mailed as gift vouchers or coupons to the e-mail address for your account.